GOM develops, produces and distributes software, machines and systems for 3D coordinate measuring technology, proving to be a global reference for 3D scanning. GOM sets the new standard in optical 3D metrology. Our systems are proven technology in many industrial processes, improving product quality, accelerating the product development and the manufacturing processes in the automotive, aerospace and consumer goods industries. GOM makes the difference among the 3D measuwrement technologies. Our basic principles are accuracy, reliability and speed. ATOS 5 and ATOS 5X are two new high-speed sensors of the ATOS family. Thanks to their measurement accuracy and data quality, they represent the high-end solution the market relies on. 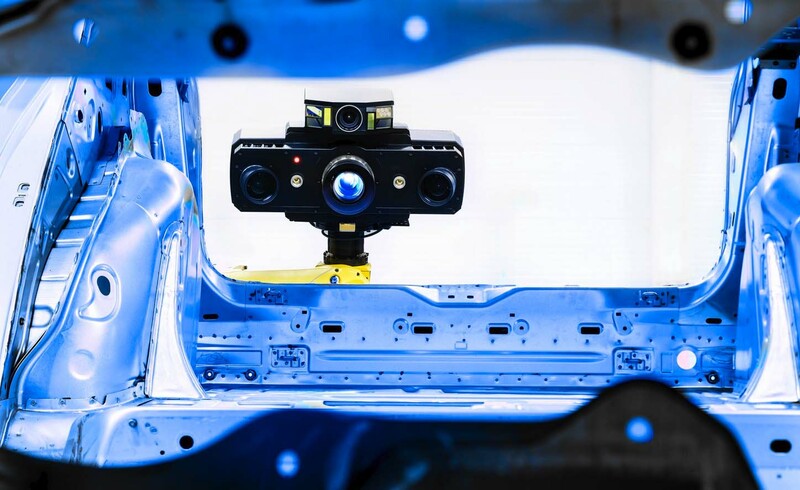 GOM optical 3D full-field measurement techniques are a solid reference for the Industry 4.0. Our high standards allow us to conceive more structured and high-performance sensors to respond to changing customer demands, providing ongoing support with complete solutions to tackle the challenge of the fourth industrial revolution. Previous Post Ever 7: high chip removal capacity and high-speed finishing for machining large-size dies Next Post Fagor Automation: all the news!